Will a 205/40 17 fit on my 1990 300zx non turbo ? 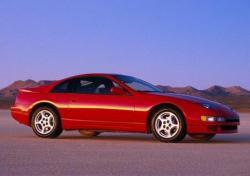 Hi I am looking to buy a set of rim for my 300zx TT. the rims is 18 and I want 9.5 to the rear and 8.5 to the front. what offset do I use. thanks. I did some research on my own I got offset on front 38+ and rear 45+. is that much different? Any wheel with an offset between 20 and 35 will be fine, if you have the factory brake calipers.. If you did a BBK on it it is different. I have a 1986 300zx non turbo and I want to know if the wheels from my 2013 juke will fit. They are 215/55 r17 size and I think the offset is 35mm. I think they are the #62559 alloy wheels. Will 255/60/15 or 265/70/15 tyres fit on my standard 15 inch alloys? Hi,Nas,Can you show me your current tire size? Hi,Nas,The accessible select tire width for 6.5jj is 215's.If you want to put 255/265,you need to lower the flate rate.So I need you show the whole tire size.Formate like ***/**/**. Hi,Nas,If you use 15*6.5 wheels,Try 255/50/15.This size is ok for your car. Hi,Ray,I suggest that your'd better not use wheel adapter.It is not safe and wear down wheels. 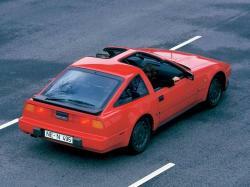 You are missing the extra inch for all Turbo z31's 1984-1989 they were same 5 bolt pattern and PCD but were 16" not 15". Just FYI for the group. Hi,Stevedonato,Thanks for your correction,We will research it and update.BYW,Can you also provides the PCD? I have a 1992 300zx 2+2, will 7.5 JX17H2 ET 35 45 fit this car? Hi,Sharon Smith,No,the ET for that car is 24mm.So ET 35,45 is too bigger. What is the correct term for when your rear tires are slightly wider than the fronts? Staggered is the term I use... Any others?